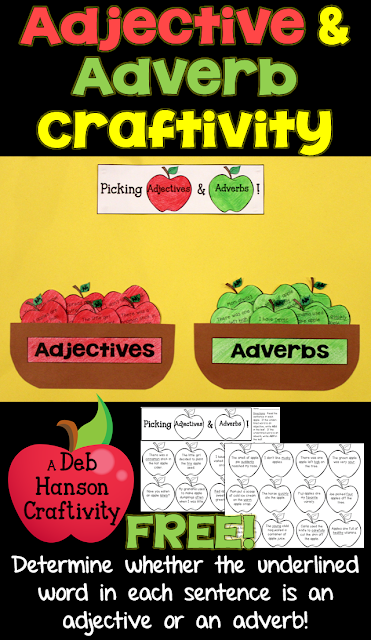 Anyway, in this adjectives and adverbs craftivity, students are given worksheets with 20 apples. Each apple contains an "apple-themed" sentence, and students must identify whether the one word underlined in each sentence is an adjective or an adverb. From there, they color adjective apples red and adverb apples green... then create adjective and adverb baskets... and finally sort their apples into the appropriate baskets. As with all my craftivity products, there are detailed directions and a page outlining supplies you will need to gather to prepare for the craftivity. ENJOY! 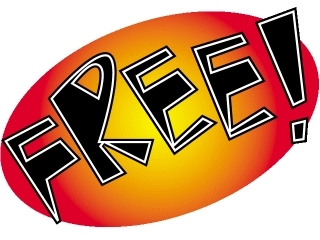 Just click on the image above to download this FREEBIE! If you like this craftivity, check out my other craftivity products as you prepare for the new school year! Just click HERE! Finally, if there's a concept that you feel some students have difficulty with year after year, and you would like to see a craftivity made for it, just let me know! I love coming up with new ideas to help learners craft connections.